We look forward to meeting you on your first visit to our office. During this time, we will help you get acquainted with our office and your orthodontic treatment. We understand that each patient’s needs are different, and we promise to give you the personal attention you deserve. Your first orthodontic visit, which is complimentary, will consist of an examination, taking photos and x-rays, and a discussion of potential treatment options. This important visit will address your orthodontic needs to determine whether this is the proper time to begin treatment. After we have evaluated your records, we will conduct a case presentation. We will provide a complete clinical diagnosis regarding the nature of the problem and a detailed plan that outlines your treatment, goals, and estimated fees. No-interest payment plans are available to suit your budget. We encourage questions from both the patient and the parent, so we provide ample time to to get them all answered. You may fill out our health history form , print it and bring it to the office with you for your visit. Before beginning your treatment, we’ll discuss treatment fees, insurance coverage and financial arrangements in detail. We offer several different payment options: Zero-down and zero-interest financing, a discount for payment in full at the start of treatment, a larger initial payment and lower monthly payments, or other payments paid during the treatment period. None of our in-office payment options come with financing fees, and credit cards are accepted. We also provide information about a third-party financing company, should you choose a payment option that extends beyond treatment. We work with all insurance companies and will look into your policy, determine your coverage and file the necessary paperwork on your behalf. Remember, orthodontic treatment is a qualified expense under federal guidelines for flexible spending and health savings accounts. Many of our patients are referred by their family dentist, yet many other patients take the initiative to schedule an examination themselves or are referred by friends. We do not require a direct referral from your dentist, but we ask that you see your dentist to make sure there are no cavities before the braces are placed or Invisalign is started. Typically permanent teeth will stay where they erupt. The space available for the front teeth does not increase as you grow. So, if the teeth grow in crooked or crowded, they will usually remain that way until orthodontic treatment is started. 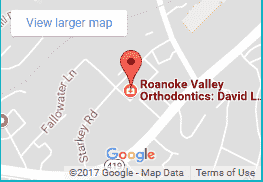 If you or your child can potentially benefit from orthodontic treatment, simply call our office at 540-563-1640, send an email to info@roanokevalleyortho.com or fill out our appointment request form online. 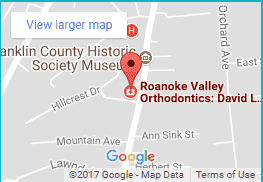 We will be happy to schedule an appointment for you. When you call to schedule your appointment, our front office staff will request some basic information from you. Upon arriving, each patient and parent will be greeted by our front desk staff and then will be introduced to our treatment coordinator, Ashley. Ashley will guide you through your initial visit with us. She will give you a tour of our office and then take a set of photographs and possibly a couple of x-rays. Dr. Jones or Dr. McCorkle will then complete a brief, but thorough clinical exam, and dental models will be taken if necessary. This full set of records will be used to complete an accurate diagnosis so we can provide you with a unique orthodontic treatment plan tailored to your smile and bite. Will any baby or permanent teeth need to be removed? Removing teeth is sometimes required to achieve the best orthodontic result. Because new technology has provided advanced orthodontic procedures, removing teeth is usually not necessary for orthodontic treatment. In our office tooth extractions are based on facial features, taking into consideration the long-term impact on your face as you grow. Treatment time will depend on each patient’s specific orthodontic needs. In general, treatment times range from 10 to 30 months. The average treatment time for a patient being treated with comprehensive braces or Invisalign is approximately 18 to 22 months. Before we are able to provide the cost for treatment, we need to thoroughly evaluate you with a clinical exam, a full set of photographs and possibly a couple of x-rays. We will cover the exact cost and payment options during your initial consultation appointment. We offer in-house, interest-free financing, as well as other financing options to accommodate your needs. We work with all insurance companies and will help you maximize your benefits and even file your claims for you! Unfortunately, we cannot schedule all appointments for students during after-school hours. However, because most appointments are scheduled five to 10 weeks apart, most patients will miss a minimal amount of school because of orthodontic treatments. We will always make a sincere effort to meet your scheduling needs. 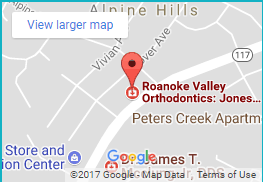 Once your child has begun orthodontic treatment, it fine for you or the school bus to drop them off at our office for their appointments. We understand your busy schedule, and we are happy to help you make the most of your time.